I love the Instant Pot and use it at least once or twice a week to make some type of beans. Lately, I have been cooking either black beans or pinto beans and then turning them into “refried” beans. I use the quotes, because they do not contain any oil and haven’t been fried, but they are smooth and creamy like refried beans. 1Add the dried beans, garlic and onion powders, cumin, and coriander to the Instant Pot liner. Cover the beans with water, make sure the water is about 2-3 inches above the beans. Stir in all of the spices. 2Lock the lid back into place and set the vent to seal. 3Set the Instant Pot to high pressure for 45 minutes for black beans or 50 minutes for pinto beans. Allow it to cook and then let the pressure release naturally. 4Using a slotted spoon or a colander, drain the beans and place them into a large bowl. I like to use a slotted spoon for this step. Make sure to reserve some of the cooking liquid. I also find that the pinto beans need a little more liquid than the black beans. 5Add salt to taste, I usually start with 1/2 tsp of salt and add more if needed. Also, add the lime juice. For both the salt and lime juice, you can always add more, but cannot take away. So start with a little and add more if you need. 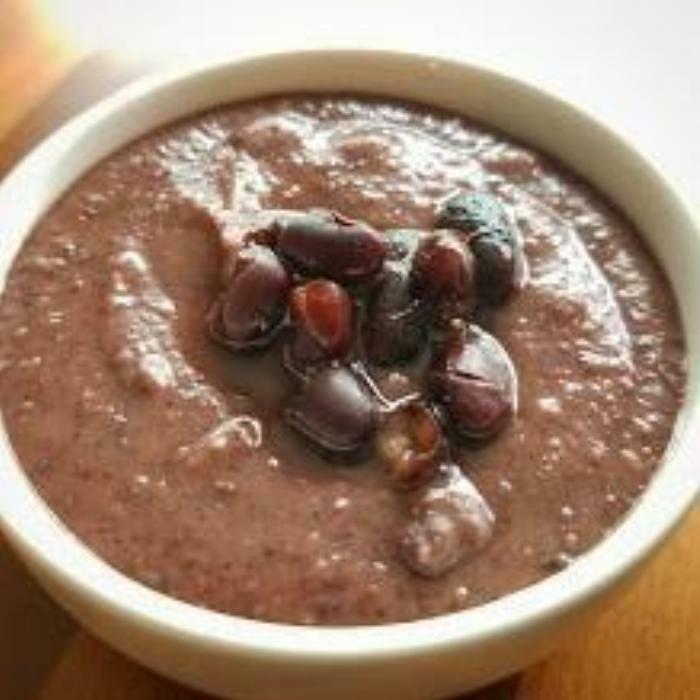 6Blend the beans using a hand blender or food processor until smooth. Add some of the reserved cooking liquid if the beans start to look dry. Taste for seasoning. If you do not have a hand blender or food processor, you can use a potato masher and just mash them until they are smooth. 7After they are smooth, add the reserved whole beans and mixed together. Season with more salt if needed.